Crude oil tested the 20-day average during the overnight session. Prices have not closed below this average since January 4. If a further selloff develops in oil, then it could lead to selling pressure in the grains. 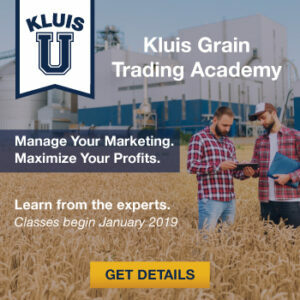 Get our daily in-depth analysis delivered directly to your inbox by 5:30 AM CST each morning, along with other services created specifically for farmers, when you become a Kluis client. 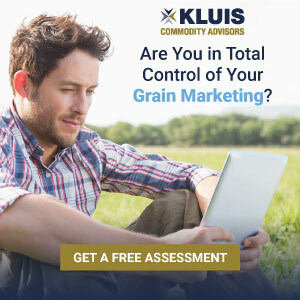 Try our 30-day free trial to test it out.